Place the Ginormous Grow Shark in a tub or bucket of water and watch it growover 1.50 feet long and 9" wide in 7 to 14 days! 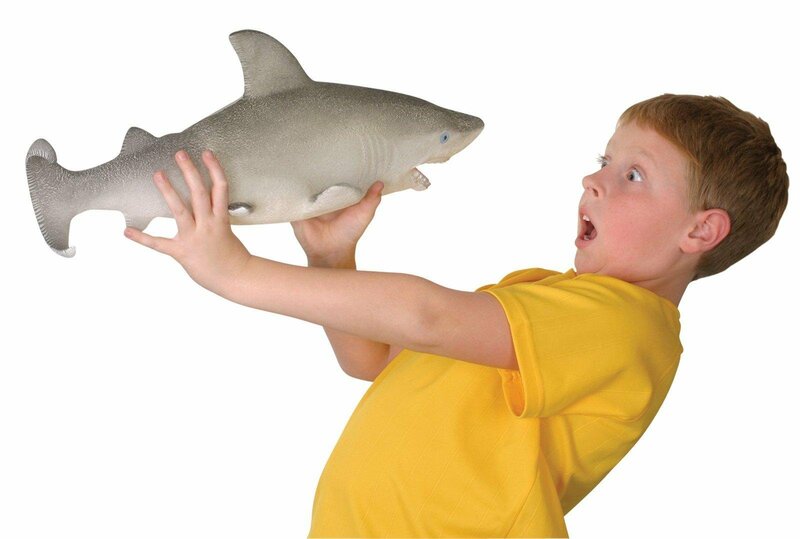 Imagine a 1.50 foot sharkright in your own house! Take it out of the water and watch it shrink back toits original size, over time as it dries. Re-grow and re-shrink it again andagain. Just what you need! The growing creatures have many teachingapplications in science and math, including graphing, drawing conclusions, andmeasurement using linear, mass and volume. Colors may vary. Measures 6" longbefore it grows. Choking Hazard, Small parts. Not for children under 3 years.